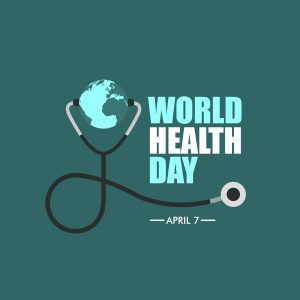 World Health Day is a global health awareness day celebrated every year on April 7, the founding day of the World Health Organisation. The day is seen as an opportunity to draw worldwide attention to a subject of major importance to global health each year. The World Health Organisation’s theme for World Health Day 2018 is advancing the health of all people – ensuring that everyone, everywhere can access essential, quality health services, without facing financial hardship. In recent decades, universal health access has emerged as a key strategy to make progress towards achieving health-related and broader development goals. Access to quality care and financial protection not only enhances people’s health and life expectancy, it also protects populations from epidemics, reduces poverty and the risk of hunger, creates jobs, drives economic growth and enhances gender equality. Several countries around the world have universal health care in place for their citizens. All Australians are covered by the universal, national, tax-financed health insurance scheme, Medicare, which provides rebates against the cost of medical fees. Australia has one of the most affordable, accessible and comprehensive healthcare systems in the world. House Call Doctor is proud to offer 100 per cent bulk-billed treatments, and services not only metropolitan areas, but an abundance of regional areas as well, including Gympie, Maryborough and Gladstone. House Call Doctor’s Chief Operating Officer Craig Glover said unlike some after-hours GP services that can charge $400 for visits after midnight, House Call Doctor never charges for services, regardless of the day or time, if a patient has a Medicare or DVA card. “Many people take access to basic health services for granted,” Mr Glover said. “House Call Doctor is proud to work with the Australian Government to offer quality after-hours GP services to patients across Queensland.